Cockroaches have a reputation for being impossible to kill. Their exoskeletons provide an extreme amount of protection, and they can also live without food for weeks. While they’re experts at hiding, it’s also true that they aren’t invincible. They are, however, tricky little bugs. 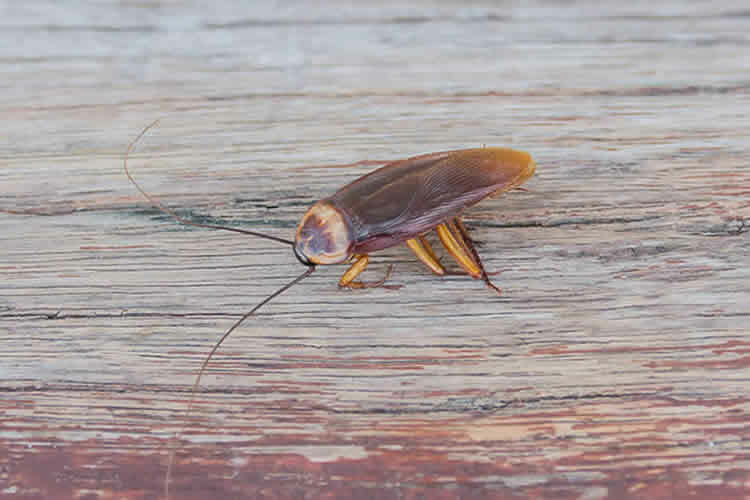 If you’re on a mission to get rid of roaches, try these tactics to outmaneuver these pesky creatures. Sorry to break the news, but you aren’t going to get rid of roaches without doing some cleaning. Cockroaches live for food residue, especially grease and crumbs. This means you need to wipe down your counters, clean your dishes (no dishes in the sink overnight! ), wipe down your stove, and sweep your kitchen floors every night. You should also regularly mop or spot clean your floor. First, find out where roaches live in your home. Since cockroaches love the dark, they become very active at night. Flip on the light, and pay attention to where they scurry. This is often under your kitchen sink, behind your stove, and even in your cupboards. Those are the areas you’re going to want to target. Use sticky traps in dark locations where the roaches like to hang out. Check them every day, and throw them in your outside garbage when they’re full. You can make your own trap with a jar, petroleum jelly, and fragrant fruit. Apply petroleum jelly to the inner rim of your jar, and add fruit peelings to the jar (bananas, mangoes, or apples do the trick nicely). Place the jar in an area where you have seen roaches before. They’ll be drawn to the fruit smell and will crawl inside. Once in, however, the petroleum jelly prevents them from escaping. Insects (and rodents) have a knack for squeezing into the smallest of spaces, especially if there’s food to be found. This means you need to seal all entries into your home. Look for gaps in your baseboards, between the counter top and wall, and inside your pantry. Check for gaps in your doors and windows as well. Roaches need water to survive, so make sure you don’t have any leaking faucets or pipes. Don’t over water your plants, and keep an eye on the water you leave out for your pets. Attract roaches with bait. Make a mixture of three parts boric acid and one part powdered sugar. Sprinkle it into any cracks in your pantry or along the edges of your counters, under your refrigerator and oven, under the sink, and under the dishwasher. The powdered sugar will lure the bugs to your kitchen, and the boric acid will kill them. Often, they will bring the boric acid back to their nests, killing the rest of the colony. This concoction may deter cockroaches and includes one garlic clove, one tablespoon of cayenne pepper powder, one tablespoon of onion paste, and a liter of water. Marinate the mixture for an hour, and then add one tablespoon of liquid soap to the mix. Apply the mixture wherever you have a roach problem. While all of these solutions offer the possibility of getting rid of roaches in your home, it can take a long time to be completely rid of them. When you consider that a female can reproduce up to 5 times in 200 days, cockroaches can become a big problem – and fast. The best defense is always a professional roach exterminator who is highly trained in removing cockroaches as well as preventing them from returning. Rest easy, knowing the professionals are handling your roach infestation. Give Barefoot Mosquito & Pest Control a call today or request a free quote online.